Brewers Decorator Centre serves a wide range of trade and retail customers from across Hove, Portslade and Southwick. They come for our wide range of trade and designer paints, large choice of wallpaper patterns, decorating sundries and, of course, our expert product knowledge. You can browse our wallpaper and designer paint ranges online in-store and place an order for delivery within a few days. Our shop is fully accessible for people with reduced mobility and there’s customer parking just outside. 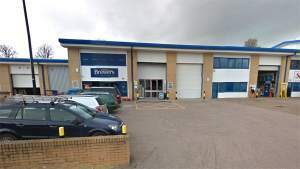 We’re easy to find: the second unit on your left on Portland Business Park, a couple of minutes down Portland Road from Portslade railway station. Travelling towards Portslade Station along Portland Road the store will be on the right after Ingram Crescent.